Look at my pic on post #61 of this thread. You need a big water bowl. The corner style in the pic holds half a gallon. Volume of water only matters if you are gone for long periods of time. You want a water bowl that makes the water have a large surface area for evaporation. You do need to get the infrared heat bulb. They tend to dry out a glass style enclosure but having the large water bowl off sets that. Also the python does need a day/ night cycle so if you leave a regular light on 24/7, it will stress you snake. Since you have a small tank right now, you may need to have the heat lamp on a lamp stand and not directly on the top becuase unless you can find lowe watt bulbs, the pet store will only likely have 50 watt as the smallest. 50 watts may be too much. That will have to be something you experiment with. So go to lowes as well and get their heat ir temp gun so you can check your temps. 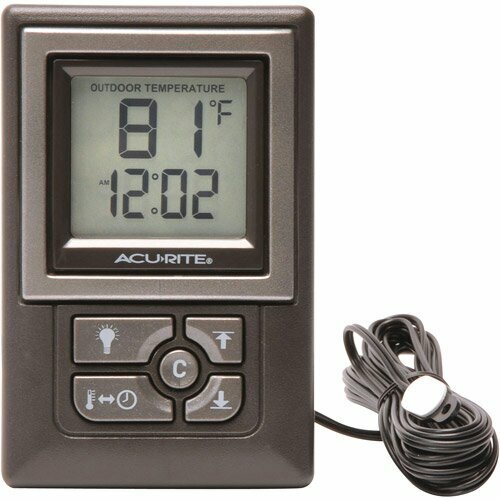 Also go to walmart and get the acurite thermometer/hydrometer dor around $12. Put the probe under you substrate over the uth and the unit on the cold side. You don't need both the infared and the regular bulb, just the infrared. but since you have a 10gal tank it may be too much for it and you could not get a big enough water bowl in there to create the humidty. I forgot to mention that you place the water bowl more towards the cold side and then move it towards the warm side while monitoring the humidty. Once you get the humidity at the correct level you then stop moving the water bowl. When the snake goes into shed you do the same to raise the humidty for shedding and move it back when the snake is done. If you have a room in your home that has a constant warm temp, you may want to locate the tank into there. Then create and use a shed box for when the bp goes into shed. You can find threads on how to do a shed box. I would not worry about the bottom space because if you are getting a pretty young bp, it will want to hide alot anyway. If you want or need a light for viewing, get a LED from lowes and have it on a timer. Oh and cover 3 of the sides of the tank as well. I put construction paper on the outside with double sided tape. That helps the bp feel more secure. Alot of this is trial and error until you find what will work with the tank you have and how cool/warm you keep your home. I started my bp off in a 46 gal bow front aquarium and at first had a time getting everything correct. I had to do so without misting because i work a 48 hour shift and would not be home to do so. 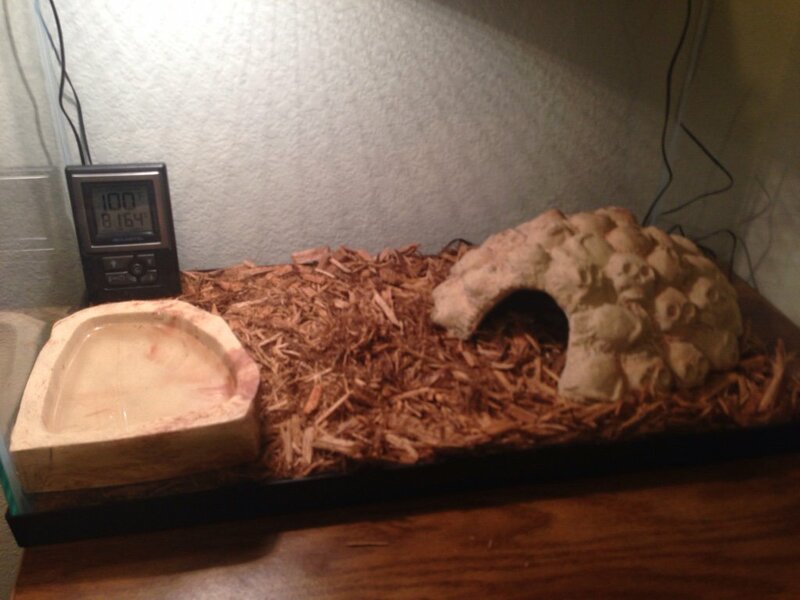 Here is how the 46gal is set up now for my king snake. 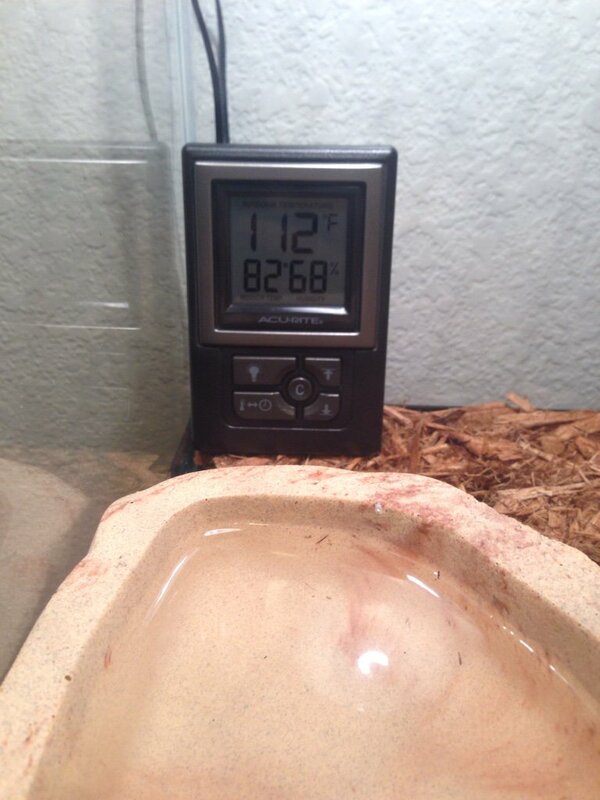 He does not need the higher humidity so i did not need a larger water bowl to create more/ as much evaporation. Last edited by lurch9; 09-27-2014 at 09:53 PM. Are you wanting to know how to secure the probe from the acurite so it will not move from over the uth? Hot glue gun, place a small amount where you need it. Let it cool off a sec or two and the stick the probe in it but you do not want the glue to cover the entire probe. The one i do have glued down has the glue more towards the back and on the probe cord. Yea you need a thermostat or a dimmer. 112 is alittle toastie! Humidity is high or just right for shedding. Makes some vents in the foil by cuting 3 sides and making a flap that you can open and close as needed . with a 10 gal tank, start with 1 or 2 vents about 3-6 inches. Oh and lets see some pics! Last edited by lurch9; 09-27-2014 at 10:30 PM. You did not happen to keep the twist tie for the probe cord? 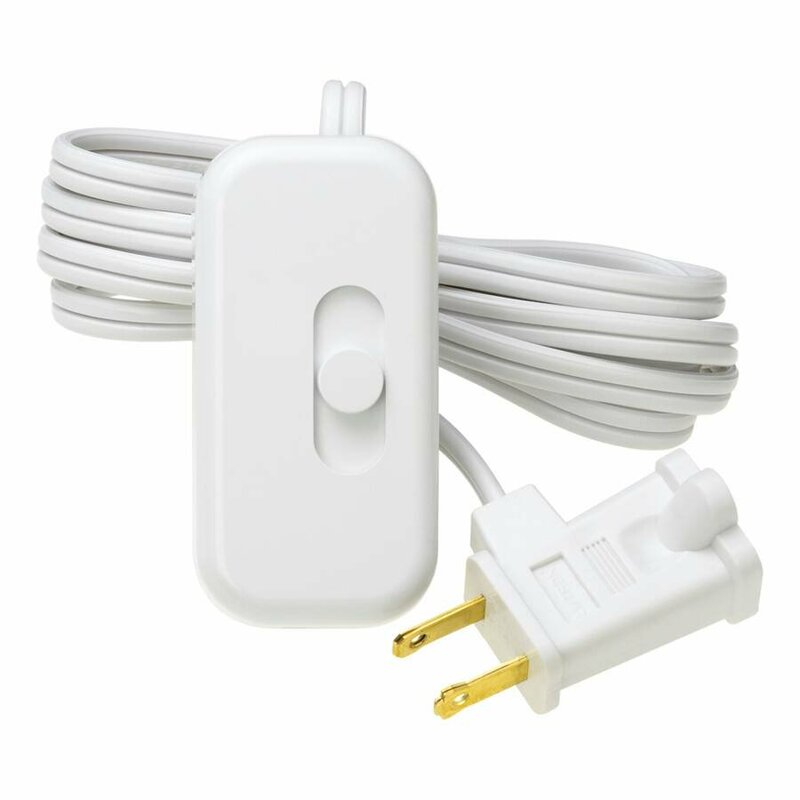 Wind up the excess cord and bury it under the substrate. No need to run the cord out and back into the tank. Lets also do some more trial and error, move the heat lamp over the hide side and unplug the uth. With the tank being a 10 gal i think the heat lamp will be all you need. See what happens with the temp and humidity. Then same with both on, see what happens.